Every now and then I get the urge to sell my truck. I think about changing jobs and driving a company truck. Not too long ago, I interviewed with a major trucking company for a company driver job. One of the big selling points, which the fleet manager, who was the driver recruiter I spoke to that particular day, was promoting the fact that the entire fleet of trucks were less than a year old. In fact, if I started to drive for that company, he said they’d put me in a brand new Pro Star International. I asked the fleet manager if his company had been experiencing the same lack of reliability with the new emission friendly trucks I’d been hearing so much about. He rolled his eyes and said the newer trucks had been a real nightmare for them. He said they had made a mistake when purchasing these new Internationals, as they spent more time on the side of the road, than on the road! I asked him how they paid their company drivers when they experienced one of these frequent breakdowns. I was expecting to hear him quote an hourly rate of pay to compensate the driver when the equipment was broken down. Instead he gulped and admitted that their drivers were paid solely by the mile. But, if the truck was down for a ‘long time’, the ‘dispatcher might throw you something’, to quote his exact words. Throw me something? At the discretion of the dispatcher? Needless to say, I decided this trucking company wasn’t a good choice for me. My experience with this carrier raised an interesting point. If the new trucks are so unreliable and every fleet manage will agree, that vehicle reliability has never been so poor. How could any company in good conscience, not pay their drivers for breakdown time? If you are applying for a company driving job, be absolutely sure to get the scoop on the company’s policy for paying detention during periods of equipment breakdown. Be sure the policy and rate of pay is included in writing in the Driver’s Agreement. Companies will often agree to put the driver up in a hotel in the event of an equipment breakdown. So they should. But the driver should also be paid for his time as well. A driver should not loose money if his company truck has failed. I see this as just another way to stick it to the truck driver. 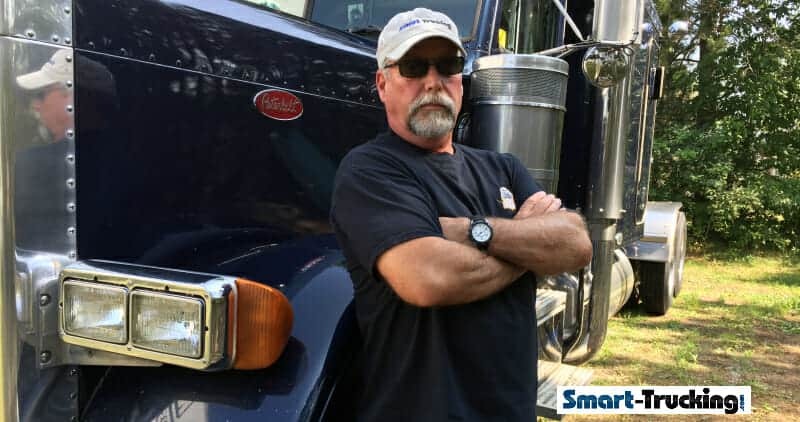 If your employer doesn’t offer some form of compensation when your truck is broken down in your driver pay package, you are clearly working for the wrong trucking company. Time to look for another job.